IAC updates "Current Dates of Vaccine Information Statements" and "You Must Give Your Patients Vaccine Information Statements (VISs)—It’s Federal Law!" 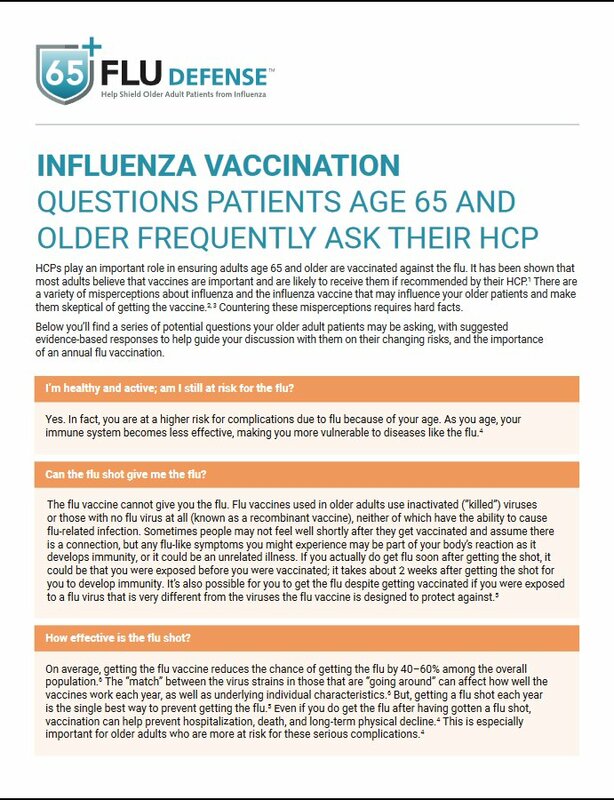 IAC posts nine updated translations of its "Screening Checklist for Contraindications to Vaccines for Adults" and seven translations of its "Screening Checklist for Contraindications to Vaccines for Children and Teens"
IAC posts updated Spanish-language translation of "Questions Frequently Asked about Hepatitis B"
BuzzFeed provides good overview of the importance of influenza vaccination—share with patients and parents! CDC published Vaccination Coverage Among Children Aged 19–35 Months—United States, 2017 in the October 12 issue of MMWR (pages 1123–1128). The first paragraph is reprinted below. 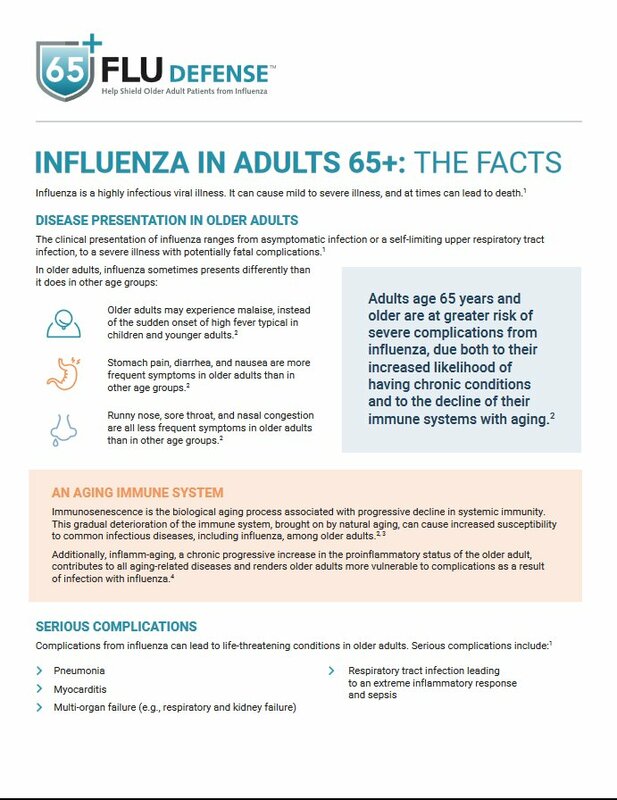 The Advisory Committee on Immunization Practices (ACIP) recommends routine vaccination by age 24 months against 14 potentially serious illnesses. CDC used data from the 2017 National Immunization Survey-Child (NIS-Child) to assess vaccination coverage at national, state, territorial, and selected local levels among children aged 19–35 months in the United States. Coverage remained high and stable overall, exceeding 90% for ≥3 doses of poliovirus vaccine, ≥1 dose of measles, mumps, and rubella vaccine (MMR), ≥3 doses of hepatitis B vaccine (HepB), and ≥1 dose of varicella vaccine. Although the proportion of children who received no vaccine doses by age 24 months was low, this proportion increased gradually from 0.9% for children born in 2011 to 1.3% for children born in 2015. Coverage was lower for most vaccines among uninsured children and those insured by Medicaid, compared with those having private health insurance, and for children living outside of metropolitan statistical areas (MSAs), compared with those living in MSA principal cities. These disparities could be reduced with greater awareness and use of the Vaccines for Children (VFC) program, eliminating missed opportunities to vaccinate children during visits to health care providers, and minimizing interruptions in health insurance coverage. CDC published Vaccination Coverage for Selected Vaccines and Exemption Rates Among Children in Kindergarten—United States, 2017–18 School Year in the October 12 issue of MMWR (pages 1115–1122). The first paragraph is reprinted below. State and local school vaccination requirements exist to ensure that students are protected from vaccine-preventable diseases. This report summarizes vaccination coverage and exemption estimates collected by state and local immunization programs for children in kindergarten (kindergartners) in 49 states and the District of Columbia (DC) and kindergartners provisionally enrolled (attending school without complete vaccination or exemption while completing a catch-up vaccination schedule) or in a grace period (a set interval during which a student may be enrolled and attend school without proof of complete vaccination or exemption) for 28 states. Median vaccination coverage was 95.1% for the state-required number of doses of diphtheria and tetanus toxoids, and acellular pertussis vaccine (DTaP); 94.3% for 2 doses of measles, mumps, and rubella vaccine (MMR); and 93.8% for 2 doses of varicella vaccine. The median percentage of kindergartners with an exemption from at least one vaccine was 2.2%, and the median percentage provisionally enrolled or attending school during a grace period was 1.8%. Vaccination coverage among kindergartners remained high; however, schools can improve coverage by following up with students who are provisionally enrolled, in a grace period, or lacking complete documentation of required vaccinations. On October 12, CDC released a revised Vaccine information Statement (VIS) for hepatitis B vaccine. On October 4, the U.S. Food and Drug Administration (FDA) approved expanding the age indication for Afluria and Afluria Quadrivalent (Seqirus) to include children age 6 months through 59 months. Previously, Afluria was licensed for people age 5 years and older. On October 11, CDC issued a press release titled Flu vaccine reduces risk of flu hospitalization among pregnant women. The complete release is reprinted below. Access the press release online: Flu vaccine reduces risk of flu hospitalization among pregnant women. CDC published Notes from the Field: Rubella Infection in an Unvaccinated Pregnant Woman—Johnson County, Kansas, December 2017 in the October 12 issue of MMWR (pages 1132–1133). Selections from this report are published below. JCDHE determined the patient had no travel history. When the patient was 15 weeks pregnant (17 days before her rash onset), her unvaccinated U.S.-born brother, aged 22 years, stayed in her home after returning from India, a country with endemic rubella transmission. The brother had a rash on his lower extremities that was diagnosed as poison ivy. Specimens from the patient and brother were collected and submitted to CDC; results were rubella IgG-positive with low avidity, indicating recent infection. An obstetrician specializing in high-risk pregnancies followed the patient for the remainder of her pregnancy. All follow-up testing was negative, and the patient delivered a full-term, apparently normal, infant in May. ... Based on test results and the absence of congenital defects, indications are that this infant meets the criteria for congenital rubella infection and not CRS. The infant will continue to be followed by an infectious disease specialist. This case highlights several important points. Per the Advisory Committee on Immunization Practices recommendations, health care institutions should ensure that all persons working in health care facilities have documentation of adequate vaccination against measles, mumps, and rubella or evidence of immunity; the hospital staff member who was excluded received the MMR vaccine before returning to work. Health care providers should routinely assess women of childbearing age for evidence of rubella immunity (IgG antibodies) and recommend vaccination when appropriate. Pregnant women testing negative for rubella immunity should be vaccinated immediately after delivery; this case represents a missed opportunity for rubella vaccination after the birth of the patient’s first child. When a pregnant woman develops a rash illness, providers should ask about international travel for both the patient and her contacts. Finally, more emphasis and education are required for health care providers on the importance of timely reporting of suspected vaccine-preventable diseases. IAC's Ask the Experts: Meningococcal ACWY and Ask the Experts: Meningococcal B web pages have been completely reviewed and updated by experts at CDC. Ask the Experts: Meningococcal ACWY: Revisions were limited to removal of references to an obsolete vaccine (meningococcal polysaccharide vaccine). There are no new recommendations. Ask the Experts: Meningococcal B: Revisions were minor and include updating website links and removal of reference to an obsolete vaccine. There are no new recommendations. Revised in 2010 by the California Department of Public Health, Immunization Techniques: Best Practices with Infants, Children, and Adults, a 25-minute training DVD, focuses on the skills and techniques needed for vaccine administration. Every organization that administers vaccine should have a copy of this comprehensive educational program. The content covers children, teens, and adults. It can be used for training and orientation, as well as a refresher for more experienced staff. Note: Go to the subhead titled "Watch Video Clip" to view a 2-minute segment of the DVD. IAC recently updated Current Dates of Vaccine Information Statements as well as You Must Give Your Patients Vaccine Information Statements (VISs)—It’s Federal Law! to incorporate the 10/12/2018 date of the recently updated Hepatitis B VIS. IAC recently posted updated translations of its "Screening Checklist for Contraindications to Vaccines for Adults" and "Screening Checklist for Contraindications to Vaccines for Children and Teens." Revisions to the English version of the "Screening Checklist for Contraindications to Vaccines for Adults" were made recently to add LAIV as an option for influenza vaccines available to people with egg allergy and other minor edits in references. Revisions to the English version of the "Screening Checklist for Contraindications to Vaccines for Children and Teens" were made to remove the “Note” that stated ACIP did not recommend use of live attenuated influenza vaccine (LAIV) for the current vaccination season, to delete several precautions for receipt of DTaP, consistent with ACIP's 2018 recommendations and the DTaP Vaccine Information Statement, dated 8/24/2018 (i.e., seizure within 3 days, pale or limp episode or collapse within 48 hours, continuous crying for 3 or more hours within 48 hours, and/or fever of 105F within 48 hours of a previous dose), and to clarify the degree of immunosuppression for HIV-infected children who may be candidates for varicella vaccine. IAC recently revised the Spanish-language translations of "Screening Checklist for Contraindications to Inactivated Injectable Influenza Vaccination" and "Screening Checklist for Contraindications to Live Attenuated Intranasal Influenza Vaccination" to match the recently updated English-language versions. Screening Checklist for Contraindications to Inactivated Injectable Influenza Vaccination: Changes were made to include LAIV as one of the vaccine options for people with egg allergy and to note that latex is no longer present in prefilled syringe caps of some influenza vaccines. Access the updated Spanish version: Cuestionario de contraindicaciones para la vacuna inyectable contra la gripe. Access the updated Spanish version: Cuestionario de contraindicaciones para la vacuna intranasal viva atenuada contra la influenza. IAC recently made a small correction to its popular 4-page handout for patients titled Questions Frequently Asked about Hepatitis B to clarify the common modes of transmission of hepatitis A. The Spanish-language translation now matches the updated English version. Access Preguntas frecuentes acerca de la hepatitis B.
IAC recently posted eight new translations of the Meningococcal ACWY VIS, which was updated on 8/24/18. The Spanish-language rich text format (otherwise known as RTF) file for the updated Meningococcal ACWY VIS is available by going to www.immunize.org/vis/vis_meningococcal_acwy.asp. This format can be used with electronic medical records system such as GE Centricity or Epic. English VISs in RTF can be downloaded from CDC's website (click on any VIS to access all available formats). IAC provided these translations as part of a cooperative agreement with CDC, with the exception of the Turkish-language version. That translation was donated by Betül Polatdemir, MD, Lokman Hekim Hospital Group, Ankara and Sibel Bostancıoğlu, MD, Ankara Occupational and Environmental Diseases Hospital, Ankara, Turkey. The World Health Organization (WHO) published Guidance for evaluating progress towards elimination of measles and rubella in the October 12 issue of its Weekly Epidemiological Record. The first paragraph is reprinted below. The target of the WHO Global Vaccine Action Plan 2011–2020 is the elimination of measles and rubella in at least 5 WHO regions by 2020. Elimination of measles and rubella is defined as the absence of endemic transmission in a defined geographical region or country for ≥12 months, documented by a well-performing surveillance system. As long as measles or rubella remains endemic in at least one country, however, all countries remain at risk for outbreaks due to imported cases. The 6 Regional Verification Commissions (RVCs), the Measles and Rubella Working Group of the Strategic Advisory Group of Experts on Immunization and other experts have revised guidance on monitoring progress and verifying elimination to ensure alignment among regions. The guidance presented here is based on experience gained in some regions and Member States and replaces older WHO global guidance. The American Immunization Registry Association has published a new resource called Identifying Immunization Pockets of Need. Part of the Executive Summary is reprinted below. Over the past several years, vaccine-preventable disease outbreaks have emerged from small populations with low vaccination coverage. These populations of unimmunized or underimmunized individuals are referred to as “pockets of need.” It can be challenging to identify low vaccination coverage in small populations. Fortunately, improvements in the quantity and quality of data in immunization information systems (IIS) have led to an increased ability to perform small area analysis that can identify pockets of need. By identifying pockets of need, immunization programs can strategically use limited resources to prevent or control vaccine-preventable disease outbreaks. Likewise, identification of pockets of need can help target resources to address health disparities and improve health equity. This guide is intended for IIS and immunization program staff; epidemiologists at the state and local level; and public health staff who work with specific geographic areas or populations, vaccine hesitancy issues, school and childcare immunization laws, and surveillance or response to outbreaks of vaccine-preventable diseases. Download Identifying Immunization Pockets of Need as a PDF document (59 pages). On October 9, JAMA published Association Between Third-Trimester Tdap Immunization and Neonatal Pertussis Antibody Concentration online. The Key Points provided by JAMA are reprinted below. Question: Does maternal immunization with Tdap vaccine during the third trimester of pregnancy yield high concentrations of pertussis antibodies at birth? Is there an optimal gestational age for immunization? Findings: In this prospective cohort study of 626 pregnancies, neonates whose mothers received Tdap immunization in the third trimester compared with those whose mothers received no Tdap vaccine during pregnancy had a geometric mean concentration of pertussis toxin antibodies in cord blood of 47.3 IU/mL vs 12.9 IU/mL, a difference that was statistically significant. Concentrations of cord blood antibodies were highest when immunization occurred at 27 to 30 weeks and declined thereafter. Meaning: Maternal immunization with Tdap vaccine during the third trimester was associated with higher pertussis toxin antibody concentrations in neonates than no maternal immunization; immunization early in the third trimester was associated with the highest concentrations. On October 2, BuzzFeed, a popular social media news company, published an article titled Here's Why You Absolutely Need To Get A Flu Shot This Year, According To Experts. This piece answers commonly asked questions such as the following in a very readable—and accurate—manner. Which type of flu vaccine should I get? Is it possible to get vaccinated “too early”? I heard the flu shot didn't work well last year. What happened? Last year I got the vaccine and I still got the flu—what gives? The flu isn’t that serious, and if I get it and recover, I’ll get some immune protection, right? I’ve never gotten a flu shot and I’m still alive. Why should I get one now? Providers may wish to share this article with patients and parents, and/or read it themselves to obtain some pithy answers to questions that are sure to arise. The National Foundation for Infectious Diseases (NFID) will present a webinar titled Pneumococcal Vaccines: Strategies to Increase Adult Immunization Rates on October 30 at 12:00 p.m. (ET). NFID medical director William Schaffner, MD, will moderate the webinar with a presentation by Thomas M. File, Jr., MD, MS, chair, Infectious Disease Division of Summa Health and professor, Internal Medicine; chair, Infectious Disease Section of Northeast Ohio Medical University. Tune in to the Advisory Committee on Immunization Practices (ACIP) meeting in Atlanta on October 24 and 25 (Wednesday and Thursday) via live webcast or by phone. The Adoption of Serogroup B Meningococcal Vaccine Recommendations: In this video abstract from the AAP journal Pediatrics, Allison Kempe, MD, MPH, describes her study on adhering to the meningococcal serogroup B vaccine recommendations (category B). Gaps in physicians' knowledge about MenB disease and vaccine appear to be the main reason that so few pediatricians and family physicians discuss the vaccine during routine visits.